After a year out the annual bowling has been arranged for Sunday 17th February at Shipley Lanes, Go Bowling, Market St. BD18 3QD. 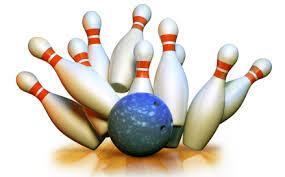 2 Lanes have been booked for one game each, starting at 10.30. Afterwards a meal venue has been booked at the Noble Comb, Salts Mill Rd. BD18 3ST Shipley for 12.30. Names to Mike or Stan please.